After a successful tryout last year, York College is expanding its participation in a CUNY-wide arts program called the CUNY Dance Initiative (CDI), a University effort to combine the talent of established professionals with students and the communities surrounding college campuses. According to the CDI website, they work to bring together local or professional dance groups, and choreographers from New York City to the various CUNY campuses throughout the city. Their goal is to engage students in learning about dance and to give CDI participants and the public the tools and space in which to learn and hone their skills. Since the program’s start CDI has worked with 13 CUNY schools. The director and curator of CDI, Alyssa Alpine, said she has coordinated roughly two dozen residencies for dance artists selected to take part in the program this year. The dance artists and companies in residencies range from specializing in modern, formal, and contemporary dance according to Alpine. Alpine said she wants to make sure that CDI includes all types of dance for CUNY students, faculty, and the public to learn. “I chose artists to perform a diversity of dance styles such as Japanese dance and from wide range of 100 different styles,” she said. Last year CDI dance workshops were held at York College in the Milton G. Bassin Performing Arts Center. The most recent class was taught by the Matthew Westerby Company. According to CDI’s website, funding for the anniversary is being provided by the Howard Gilman Foundation with additional support from the Mertz Gilmore Foundation. CDI was created in 2014 after a survey was completed in 2010 which, according to Alpine, concluded that “Small to midsize companies have a hard time finding a dance space. Also, the survey found that the CUNY campus theaters were underutilized.” Now, through the program, CUNY theaters are available for dance companies partnering with CDI to use in order to conduct their workshops and performances. All of the dancers and dancing troupes that participate in the program receive a rehearsal room, performance space, and a stipend. The program also works to bring live dance performances to campuses that are either free or reasonably priced. Chloe Arnold, the artistic director of Syncopated Ladies, stated in an interview on the CUNY Dance Initiative website, that being able to participate in the program was a dream for her as a director. “So, we’re here coming to our New York theater everyday for two weeks and it’s just fabulous. I feel like this is the dream we’re living the dream,” said Arnold. Both the Mari Meade Dance Collective and Matthew Westerby Dance Company are partnering with CDI this semester at York College to teach dance lessons to all those who are interested. Some of the upcoming workshops at York include one taught by the Mari Meade Dance Company on Apr. 4 in the Performing Arts Center, from 6 p.m. to 8 p.m. The workshop will teach students and faculty dance techniques like Cunningham, Releases and Limon. This class will be free for everyone. On Apr. 20 starting at 7 p.m. the college will be hosting a youth showcase in the main stage theater. The showcase will include performances by the Matthew Westerby Dance Company with dancers from local high schools and dance schools. This is a free event that is open to the public. 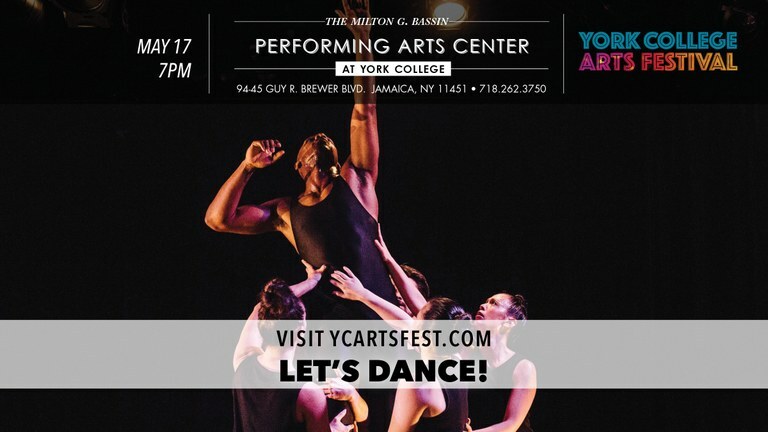 On May 17, at 7 p.m., the YC ARTS Fest Lets Dance! will feature a dance performance by the Mari Meade Dance Company and the Matthew Westerby Dance Company. The upcoming performance at York by the Matthew Westerby Company titled Save Me is described on the company’s website as, “…a demonstration of the internal impact that people collide with when they put on an act in both private and public scenarios.” There will be a $10 fee for this performance. Check out the CDI website or the York College Fine Arts page for a full listing of workshops and performances.